This is a rectangular Canada Paint porcelain sign. This particular Canada Paint sign features a beige can of red paint against a blue background. 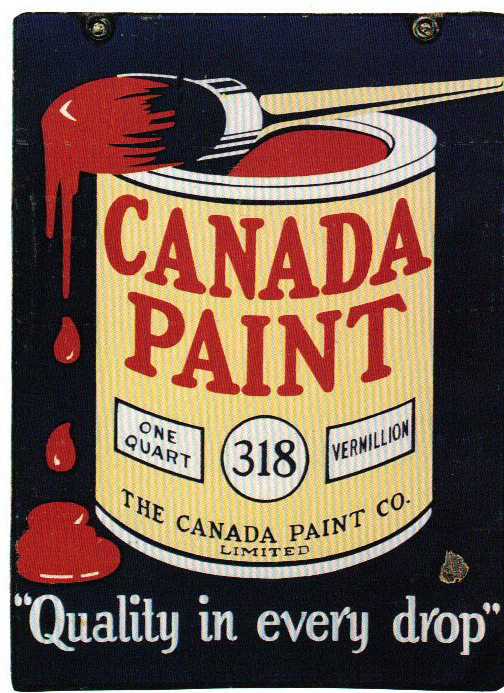 It reads, “Canada Paint, One Quart, 318, Vermillion, The Canada Paint Co., Limited, Quality in every drop”.